Why Cinegy Capture cannot write to the external NAS storage in some cases? Cinegy Capture supports dual recording to the local disk and to the external storage. 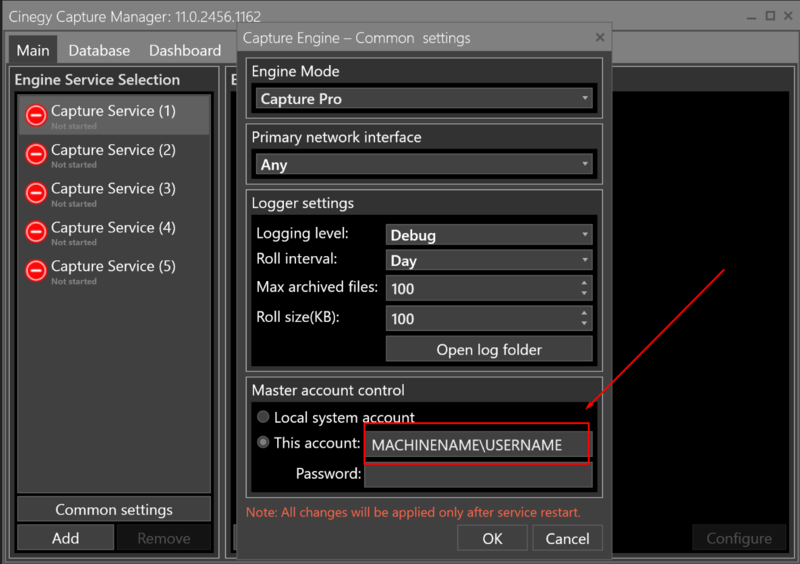 If the machine cannot access the external drive, it may be related to non-sufficient account permissions due to using the local system account. This account does not have access to network drives. To solve the issue, create an account with permission to write to network shares, as on the screenshot. For details, please refer to https://open.cinegy.com/products/capture/11/cinegy-capture-manager/user-manual/database/ and https://open.cinegy.com/products/capture/11/cinegy-capture-manager/user-manual/cinegy-capture-archive-adapter/.